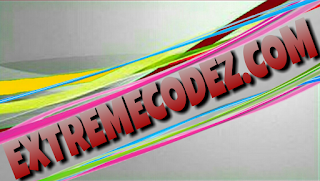 Hello guys we want to give you the best way on how to get double of your data on any data purchase you buy as you do know to get the double offer is either you get a new smartphone probably you don't want to spend money just to get a new smartphone because of the double offer that has been going on. 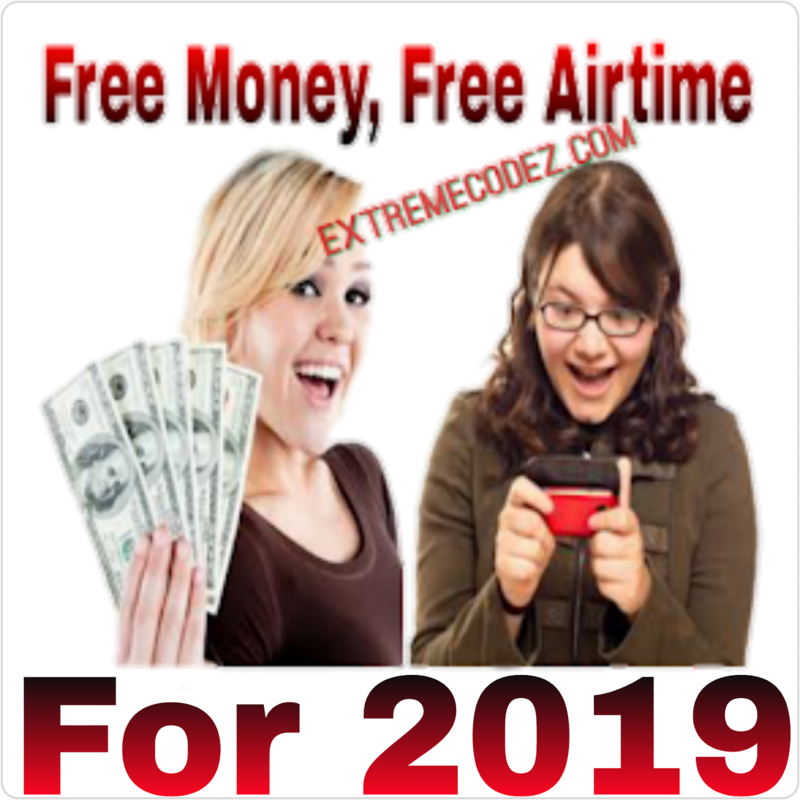 Alright we are going to show you how we got the double offer, to get this double offer is by tweaking your android imei number that's if you really want to enjoy double on any data you buy on Mtn as you do know so well that mtn is one of best network in the country, and that have higher signal, as many people do want cheap and easy means to get data as at now there is now active cheat on Mtn although the Glo and Etisalat unlimited browsing are still working. we also hope something comes up on Mtn and airtel sooner. 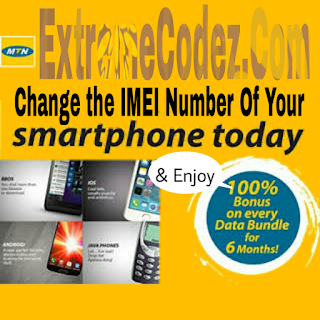 before jumping into how to get this double offer you must know that you have to take down your phone 1 imei number which is just 15numbers as this trick only works fast and saves you from stress with you using your own phone imei number. How can I see or check my android imei number? 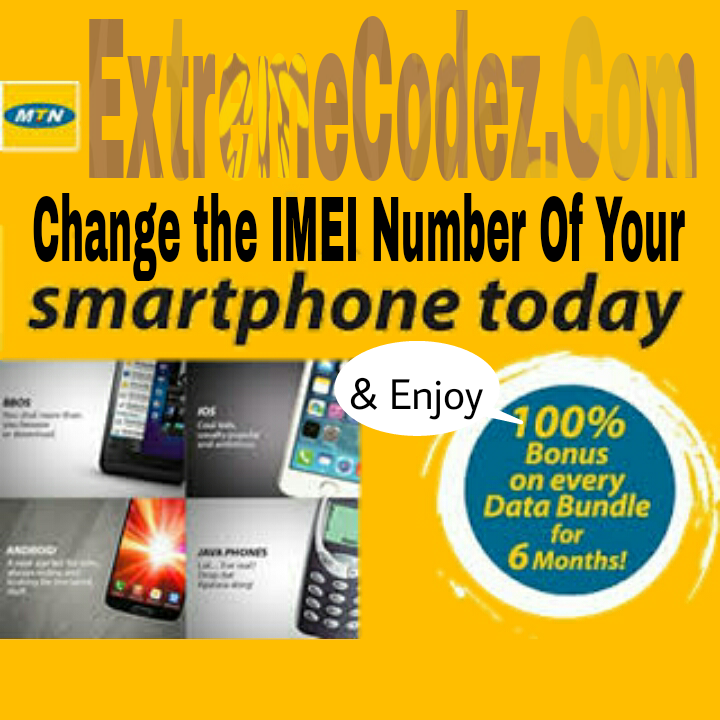 for Example if your imei number is something like this 357168017856227 get rid of the 56227 now form yours like this 67449 after that, you gat to add 67449 to the left 10number to complete it 15numbers. Welcome to MTN family. 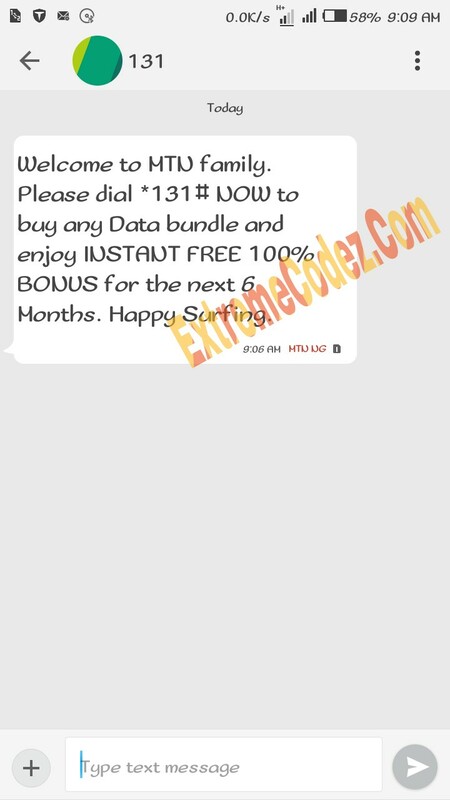 Please dial *131# NOW to buy any Data bundle and enjoy INSTANT FREE 100% BONUS for the next 6 Months. Happy Surfing. 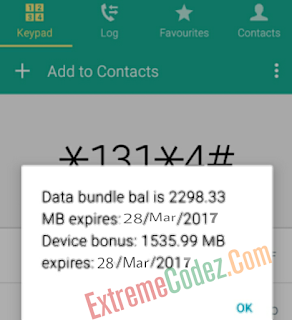 Data bundle bal is 2298.33 MB expires 28/Mar/2017, Device bonus: 1535.99 MB expires 28/Mar/2017. 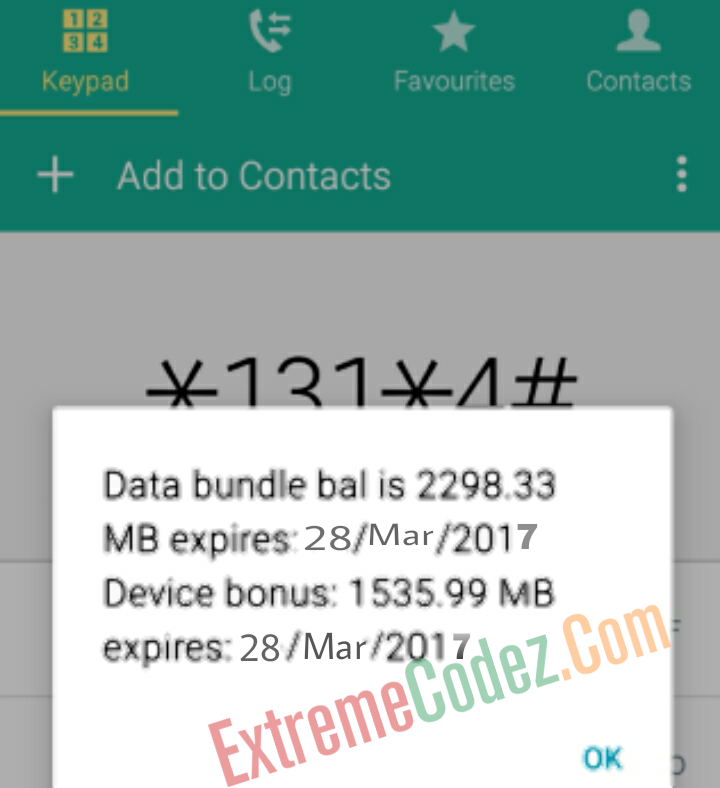 How to check your data is by sending SMS 2 to 131 or dial *131*4#. 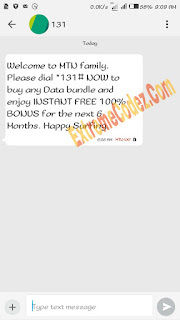 You can now enjoy double on all data you buy for the next 6months isn't this interesting? Enjoy the offer while it last.